It is really important that you contact school on the main office number (01772 683609) as soon as possible if your child is not going to be in that day. We appreciate that sometimes this may be difficult, particularly if your child is unwell but we need to make sure that both you and your child are OK. In the event that we do not hear from you regarding your child not coming to school then the following procedure will be followed by school staff. Class staff will complete the class register as soon as pupils arrive into class using the Class Mark programme on the iPad. Office staff to listen to absence calls on answer phone by 9am. Office staff to collate registers, lates, absence calls, any messages class staff have received and produce a list of children absent without an explanation. On the first day of absence, office staff to start calling parents from 9:20am to try and gain an explanation for absence. If no response, start calling all contacts on the data sheet until you get an answer. Leave messages if there is a voicemail option. Send a text message requesting parents to ring school ASAP as their child has not arrived at school. Call the contact list at least twice. If no reply from any contacts, speak to DSL and consider whether the family receive any additional agency support, e.g. social worker, and contact them. At this point DSL will take the lead. Any in school intelligence? Does anyone know the family? No explanation from a supportive family is very worrying so do not just concentrate on children who you already know to be vulnerable. Make a prompt home visit-ideally DSL with one other staff member. If you can not get an answer refer to CSC and police to request a welfare check. 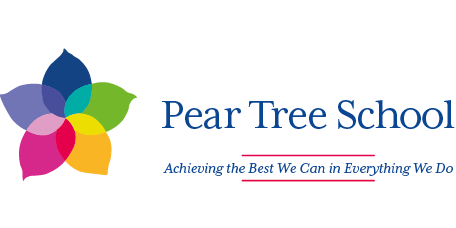 Safeguarding children is everyone’s responsibility and staff at Pear Tree receive regular training and updates to ensure they are able to safeguard children and know how to spot the signs that a child or young person may be at risk. Our school Safeguarding and Child Protection Policy is supported by the following links. If you have any concerns about a child or young person’s well being then please do not hesitate to get in contact with one of the Designated Safeguarding Leads (DSL) in school. The DSLs are Rebecca Warnock, Lindsey Bonson and Kate Walker.